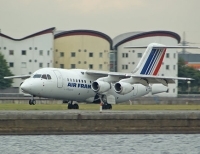 CityJet is to launch services to the port city of Brest in Brittany from the start of the summer season. 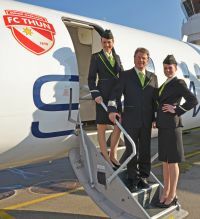 The Dublin-based airline, part of the Air France KLM Group, will at that time serve eight destinations across France headed by Paris Orly, plus Avignon, Brive, Deauville, Nantes, Pau, Toulon and Toulouse. Initially the flights will operate on a Friday and Sunday, flown by one of the airline’s 14-strong fleet of Fokker F50s. 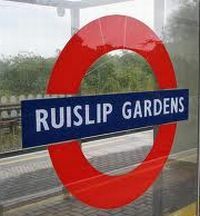 The twice-weekly schedule is thought best for business people commuting to and from London, and for weekend holidaymakers. Barcelona is to become Emirates second passenger gateway into Spain from 3 July, after doubling frequencies to Madrid from the first of the month. The 30th European destination for the airline will be served with a 360-seat Boeing 777-300ER, in a three-class arrangement. This includes eight First Class Private Suites and the award winning ‘ice’ entertainment system throughout all cabin classes. Just two days before, on 1 July, in a further sign of commitment to Spain, Emirates will launch a second daily service to Madrid. This will also be operated with a three-class Boeing 777-300ER. Bahrain's struggling national carrier Gulf Air, hit by falling passenger numbers as anti-government protests continue in the tiny island kingdom, will shrink operations and seek cash from government funds, its Chief Executive said last week. 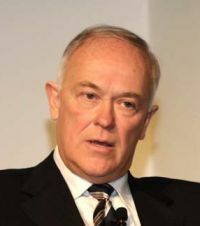 The move is in contrast to Middle East competitors such as Etihad, Qatar Airways and Dubai-based Emirates which have been expanding their networks. "The downsizing will affect the network and affect the fleet," CEO Samer Majali said. "Staff numbers would not be affected." The airline could tap Bahrain's sovereign wealth fund Mumtalakat, which has a stake in the carrier. "This is currently being debated," Majali said when asked if the airline expects to get any assistance from the government or Mumtalakat. Bahraini newspaper Gulf Daily News reported on Wednesday that the government is considering options including dissolving or shrinking the airline, or selling it and creating a new carrier at a cost of 460 million dinars (US$1.22bn). IAG member airline Iberia has sorted out its problems with its flight attendants union, severely disrupting flights. It has reached an agreement on a two-year extension of employment guarantees and the transformation of some temporary hires into permanent ones, allaying employees' concerns over the impact on their jobs of the new Iberia Express airline unit. Union representatives praised the accord, which must be submitted to workers' assemblies for ratification this week. Last week, media were invited for a behind-the-scenes tour of the New Tom Bradley International Terminal at Los Angeles (LAX). As construction approaches the halfway mark, the press were invited to join Los Angeles Mayor Antonio R. Villaraigosa and Los Angeles World Airports (LAWA) officials LAWA Executive Director Gina Marie Lindsey and LAWA Deputy Executive Director for Airports Development Roger Johnson on a “hard-hat tour” of the US$1.45bn construction site including the north concourse and the massive core area where the terminal's Great Hall will be located. 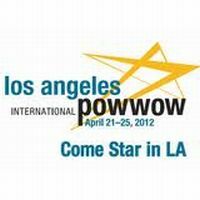 International Pow Wow 2012 takes place in Los Angeles from 21-25 April. This will be the US Travel Association’s 44th International Pow Wow, the premier USA Travel Marketplace. In many ways it is the equivalent of ITB in Berlin, and WTM in London, but a little smaller. What it might lack in size it makes up by razzmatazz, in typical American fashion. Over 5,000 travel industry professionals are expected to attend, representing international leisure and meetings/incentive buyers, domestic buyers, press and US travel suppliers who will be networking, negotiating and conducting business. It is anticipated that this will generate more than US$3.5bn in future travel to the US. Air Canada is to launch triple-daily, non-stop flights between Toronto Pearson and New York JFK beginning 3 May 2012 and increase to hourly its flights to LaGuardia Airport. It will be the only carrier that operates to all three major New York City area airports: John F. Kennedy International Airport, LaGuardia Airport and Newark Liberty International Airport. Air Canada has been flying between the two cities for 71 years. In a dig at Porter Airlines, who operate from Toronto City Airport to Newark, Air Canada points out it is the only Canadian airline offering Business Class service between the two cities. Beginning 1 May Air Canada will add an additional daily return flight between Toronto and LaGuardia, providing an hourly service each business day. If you live in the wider world you may have missed it, but in Qatar the local 'health and safety' brigade have made camel jockeys redundant. It seems the little fellows kept falling off. The racetrack animals are now remotely controlled from their trainers' cars. Little whips are mounted on the camels to act as jockeys, the experts travelling by car on a road that follows the 8km course. It gets quite exciting. And dangerous too. With 20 racers you have 20 cars/trainers. They tend to crash into each other. Will it catch on at Ascot? Hardly likely. Ruby Walsh don't get worried. The last AERBT in each month always features a cruise column. The steady increase of hits on the website confirms this leisure feature is well read. Such is the spotlight on the Costa Concordia disaster we feel well justified on focusing our COMMENT column on the sinking. Whilst they are nearly 100 years apart a number of important comparisons can be made between the Titanic and Costa Concordia tragedies. The loss of lives should never have happened. True on both occasions disaster struck at night, but the seas were calm and the impact did not actually cause any deaths, nor did the ships sink quickly. Help was available nearby. In both cases there are tales of heroism and Officers excelling in their duties. A great deal was learnt regarding passenger and crew safety with Titanic. It would be hoped that the same will happen with Concordia. That will be a major plus for safety at sea. There is a further parallel. The sinking of the Titanic did not stop people travelling by sea. OK, a century ago there was no alternative but clearly people must have questioned their need to cross the Oceans. The shipping industry of the time quickly got its act together and implemented a much better safety routine. Did the loss of the Estonia in the Baltic Sea in 1994 with 852 lives cause a drop in ferry bookings? If it did it was quickly forgotten. Your Editor has travelled on Costa Fortuna, a sister ship of Concordia. Getting on board that ship at Genoa was organised chaos. “Never again” regarding Costa was the conclusion. Fortuna was a stunning ship, perhaps a little over elaborate concerning its interior décor for English tastes, with service and organisation well below that experienced on similar sized vessels. Without the results of the Court of Enquiry, but based on our own observations, AERBT would like to suggest the following vital recommendations. 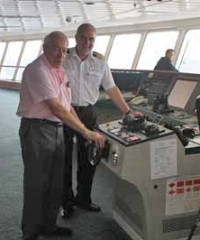 • No passenger ship should put to sea without a safety briefing. This is the case with UK registered ships. An accident can happen from the moment the last gangway is lifted. The 24-hour rule is a total nonsense. Aircraft do not move off the stand until the cabin drill is complete. 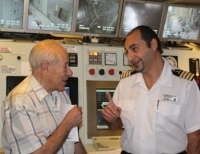 • On a cruise ship you are checked in with your identification actually on board. With airlines the final passenger log is made landside prior to boarding (and backed up by the cabin crew). This way the record is held by the carrier’s computer on land, and not, as it appears in this case, on a machine which probably went down with the ship. One must assume that the security was thus that no member of the crew could have got on board without checking in. This gangway check needs to be ‘live’ on land for instant referral. • The evacuation commander must speak the tongue of the majority on board (and be multi-lingual). It is custom on Costa for announcements to be made in up to five languages (it drives you mad – especially repetitive ‘sales’ broadcasts). From the TV news items English seems to be the main means of communication. It can be guessed that the majority on board were Italians followed by Germans. From a public relations point of view the UK-based Passenger Shipping Association found itself with a dilemma. As the industry’s voice should it be seen and heard talking of the lives saved, or taking a low profile as the conveyor of condolences, allowing others to have their say? This needs to be sorted out. Costa Concordia is owned by Carnival, a massive and responsible company with a first class track record. Its largest and most experienced European operation is at Southampton, a port synonymous with passenger shipping. Southampton should be put in charge of Costa, and quickly. Your Editor intends to go to sea this summer, on ships big and small. Qatar is due to take delivery of the first of a 30-aircraft order in late spring and will use the plane initally on regional routes. Three more are expected to follow this year, all with a two-class 22/220 layout. The carrier says that it is its policy to focus on a Business Class/Economy cabin in the future with the exception of the Airbus A380 which will have an exclusive First. 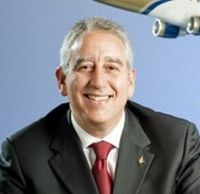 Premium Economy has been ruled out, Mr Al Baker emphasising that, in his opinion, the airline's Economy offering, with a 34” pitch, is at least the equivalent of other carrier's mid-class product. The Government of Seychelles and Etihad Airways, the national airline of the United Arab Emirates, have signed a Memorandum of Understanding wherein Etihad will invest to acquire a 40% stake in Air Seychelles as part of a strategic partnership alliance initiative between Air Seychelles and Etihad Airways. Under the partnership Etihad Airways will seek to increase frequency of flights between Abu Dhabi and Mahé from four per week to daily, as well as providing new services to the islands. There will be a comprehensive code-share agreement across each airline’s network and the two frequent flyer programmes are to be integrated. Etihad Airways will also work in conjunction with Air Seychelles to develop a renewed fleet and network growth plan for the island-based carrier. Lufthansa is expanding its automatic ‘hands free’ check-in service with immediate effect following successful trials. Passengers can now be dealt with automatically on some 400 routes within the Schengen (EU common passport) area. Passengers with an existing booking are automatically checked in 23 hours before departure. They then receive their electronic boarding pass plus their reserved seat number, which they can choose to have sent to them by email or to an internet-enabled mobile phone. The service is available to all members of the Miles & More frequent flyer programme who have selected the automatic check-in option under "Travel services" in their customer profile. Passengers travelling with baggage can check in their bags at a baggage drop-off counter or at a check-in kiosk on presentation of their boarding pass. They can also change their seat, as before, online, via a mobile phone or at a self-service check-in kiosk. Slovenian national carrier Adria Airways is to re-launch flights to London from 28 March after dropping the route for the winter season. The airline will offer five flights per week between the capital (and largest city) Ljubljana and Luton operating Airbus A319 equipment. The airline will compete with easyJet from Stansted, who maintained a schedule throughout the winter. The London route was one of a number of flights dropped by Adria Airways last year after it completed a restructuring of its route network to return to profitability. Adria has been a Star Alliance member since 2004 and a Lufthansa partner since 1996. Currently the airline has a 13-strong fleet consisting of three A320 series aircraft and 10 Bombardier CRJ series. Working together with NetJets, Lufthansa Private Jet service is to be extended to North America from 1 February. Booking cannot be easier. It is done via the Lufthansa reservation system and will offer seamless connections either way at 21 North American destinations serviced by Lufthansa and SWISS. The coverage area includes over 3,000 airports. "Lufthansa Private Jet has been hugely successful in Europe, enhancing the region’s luxury travel options with service to more than 1,000 destinations in Europe and the Russian Federation," said Jürgen Siebenrock, Vice President The Americas. "Lufthansa and NetJets complement each other’s product offerings and, with this partnership expansion, premium passengers in North America can also access the same flexible, convenient and tailored Lufthansa Private Jet experience." With Lufthansa Private Jet, a dedicated customer care service team provides a unique single point of contact to fully address all passenger needs, from flight arrangements to ground transportation and special requests. Moreover, the price structure is based on the aircraft and estimated flight time, and imposes no additional charges per traveller or as the result of delays or other unforeseen circumstances. Heathrow T4 has a new and most impressive lounge. Qatar Airways, who currently has four daily services to Doha (stepping up to five on 25 March) unveiled the facility last week. It is the airline’s first outside its Doha hub. See Britain’s Farnborough for ANA 787 international debut. 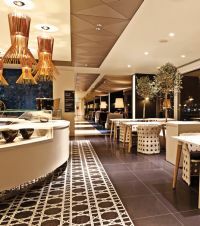 Designed to resemble a boutique hotel or private member’s club rather than a conventional airport lounge, the Qatar Airways Premium Lounge has been created to provide the ultimate in luxury. It is opposite the airline's normal gate and has extensive views. Qatar Airways recruited lounge staff from 5-star hotels and restaurants to work in the theatre-style Global Brassiere kitchen, innovative delicatessen, and Martini bar. Private shower facilities, free wi-fi and business services are provided. Qatar Airways Chief Executive Officer Akbar Al Baker emphasised the importance of Heathrow. “London has long been one of our best-performing routes, so Heathrow was an obvious choice for our first Premium Lounge outside Doha,” he said. To view a video of the new Premium Lounge at London Heathrow during its official opening ceremony, please click on the following link. Jane Stanbury has been on her travels again, flying down from Heathrow to Bilbao, and thence by road to San Sebastian. It is said there are more Michelin stars per capita in the Basque seaside town of San Sebastian than anywhere else in the world. The city boasts three 3-star establishments complemented by a host of other fabulous 2- and 1-stars. Not bad for a place supporting just 183,000 people. According to Juan Mari Arzak the fourth generation owner of Arzak, 3-starred since 1989, “the source of great Basque cuisine is in the DNA of those from the region.” Yet in reality Arzak is scientific in its approach to menu creation. A spice room containing over 1,600 flavours from around the globe demonstrates the dedication to flavours, taste and texture. Unimaginable dusts and grains such as Yucca powder, Hawaiian Sunset, Yoghurt dust and the inconceivable Werther’s Originals line the shelves and are intriguingly blended to create a unique dining experience. Each container is carefully labelled and the fascinating space feels more like an experimental laboratory than the source of sublime dishes rooted in Basque flavours. The sTcientific approach to food is not limited to Arzak. Perched dramatically above the torrid Bay of Biscay 3-star Akelarre’s chefs demonstrate their uncompromisingly scientific approach to food. The workshop is a playroom for Borga and Enrique, head chef’s Pedro Subijana’s developmental team. Subijana, along with Arzak and others were responsible for developing the “Nuevo cocina vasca”, the influential new Basque cookery style in the 1970s. Akelarre means witchcraft and there is much trickery in the food. A selection of hotel amenities on a plate was welcomed with mild bemusement until it became apparent the hand soap was in fact basil and tomato gel which was to be eaten with the onion “sponge”. The moisturiser was in fact Zabal, a smooth but sharp tasting local cheese made from ewe’s milk, and the mouthwash was champagne with pomegranate. This fun approach to haute cuisine informed the meal with unexpected combinations such as prawns cooked in flaming firewater “Orujo” on volcanic stones, lamb served on wine lees, and a personal favourite the beef dressed in copper which was carefully crafted potato. Akelarre’s relaxed but serious approach mirrors the Basque approach to gastronomy and underpins much of the local culture. It has even been suggested that anthropologists should study the unique nature of Basque socialising. The Txikiteo (chi-qui-teo) exemplifies perfectly the sociable nature of the Basques. Groups of friends gather before dinner to enjoy a tour of the old quarter’s cobbled streets to sample an eclectic mix of pintxos (pin-chos). 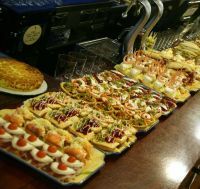 Bars dedicated to serving these local delights display counters strewn with brightly coloured plates offering an infinite variety of the San Sebasitan version of a tapa. In support of this style of eating Juan Marti Arzak says that the pintxo is “high cuisine in miniature form.” Clients point to their preferred options which may include grilled prawns, king and spider crab beignets, stuffed mussels, sweet piquillo peppers stuffed with cod; or shout above the din for freshly braised veal cheeks, pigs ears and trotters, or succulent cubes of aged beef. Plates are accompanied by Txakoli (cha-ko-li), a local slightly effervescent wine or local sidra a light cider. Both are served, in modest amount, s in straight-sided pint glasses, and poured from a great height. Friends spend no longer than 10 to 15 minutes in each venue and as time passes the voices get louder and the drinking gets quicker. 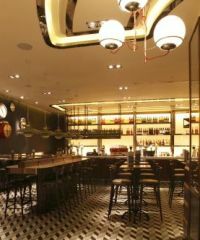 Bars range in style from the basic such as La Mejillonera which serves mussel based dishes and where you liberatingly throw your rubbish on the floor, to Cuchero de San Telmo which puts a modern spin on traditional dishes and provides forks to eat with, to contemporary Zeruko Bar, where the counter conjures memories of Willy Wonka’s factory as the ultimate in designer pintxos are displayed. San Sebastian is a foodie delight and there is no better way to discover all its joys than with San Sebastian Food run by Brit Jon Warren. 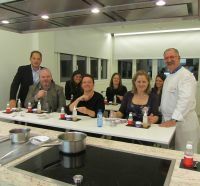 He was so charmed by the city he has developed a business tailoring gourmet breaks to enable clients to discover the edible delights on offer. Many pintxos, sidras and txakolis later he has forged strong relationships with local culinary experts. Warren and his team will get you through doors otherwise closed. A fine example of this was his introduction to Alex Barcinella, a chef with fine gastronomic pedigree, who runs Ziaboga situated at the water’s edge of the Bahía de Pasajes. Alex led me through La Breitxa market, explaining the myriad of fish, meats and cheeses before leading the way up a narrow staircase. A locked, slightly ramshackle door revealed the hallowed venue of a txoko (cho-ko). Originating out of sports or hunting clubs, this phenomenon sees groups of male friends renting a designated kitchen and dining space to create private banquets. The rules at these closed dining clubs are simple, no women allowed (although there are a few forward thinking groups that now allow women to lunch), no political or religious discussions, but most importantly create great food. Male camaraderie is paramount as the men debate, discuss and elaborate the next lengthy menu. This is way more than a drinking club, the food is central to the txoko experience. 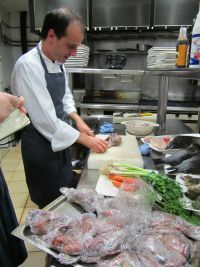 Warren can also arrange for budding chefs to spend time with Alex in his restaurant kitchen to discover more about the Basque cooking philosophy. Song thrushes are laboriously plucked, enormous hake are de-scaled, pigeons are dressed, and squid are prepared by a small inquisitive group soaking up the techniques to create perfect Basque dishes. Simplicity, focus and fresh ingredients are the base for most recipes. A morning’s preparation is rewarded with a seven-course meal that leaves clients more than satisfied and slightly smug knowing the secrets behind the fabulous flavours. A hotel that provides an oasis of calm after a hard days eating is essential for any visitor and Villa Soro offers just this. 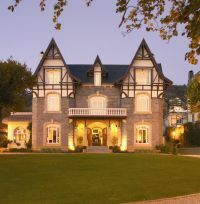 Not only does it offer a restored 19th century mansion providing commodious rooms, impeccable styling and individually designed room, delightful General Manager Jaione Gastañares is well connected, and can arrange tables at even the busiest restaurants. Bilbao is the closest airport with Vueling a key airline. To serve the growing demand for the city and its environs the airline is now twice daily to Heathrow. Spanair, the independent Spanish airline, has ceased flying and gone into administration after a rescue package had fallen through. Originally set up in 1986 and a member of Star Alliance the carrier was at one time a full subsidiary of SAS but more recently was owned by Barcelona interests, 20% remaining with the Scandinavian operation. It had struggled financially for some time and in August 2008 suffered a major accident at Madrid Barajas Airport – an MD82 crashed on take-off and 19 people lost their lives. Currenlly Spanair operates 29 aircraft, mainly Airbus A320 series in a flexible two-class configuration. The last few remaining McDonnell Douglas MD twinjet (DC9) series aircraft were being disposed of. BA would then be the only airline on the Heathrow – Aberdeen route. Clearly a genuine enquiry, but was there a request for the matter to be raised from 10 Downing Street. And if so was it used by the PM to show his interest in air transport and the bmi takeover? The Prime Minister: “The Rt Hon Gentleman makes an important point, and I am sure that it is important to his constituents as well. 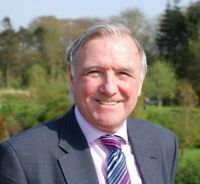 I will look into the issue of landing slots – I know how important it is for regional airports – and get back to him.” The response should be interesting. A new full service carrier, privately-owned and controlled, connecting the Georgian capital Tbilisi to a number of destinations in Europe, the Middle East, Central and South Asia, is to be launched later this year. The airline plans to take advantage of growing business and leisure traffic to the former Soviet state and help support the country’s economic development. It will compete with Georgian Airways whose network covers nine international destinations, and which will be the main competitor to the start-up in the local market. The Georgian market is currently dominated by foreign airlines, with Turkish Airlines (THY) holding the largest share of capacity (22.4%) from the country. The carrier offers more than 100 weekly departures linking Tbilisi with Istanbul and the country’s second city Batumi with Ankara and Istanbul. Ukrainian carrier Aerosvit Airlines is the second largest operator from Georgia with flights between Tbilisi and Dontesk, Kiev and Odessa. Tragus, one of the UK’s largest casual dining groups, has introduced its iconic brasserie restaurant brand, Oriel, at Heathrow’s Terminal 3. The 115-cover art deco restaurant has been developed to reflect classic French dishes with a modern twist; alongside the all-day Petit Dejeuner, the menu includes Oeufs Royale, Omelette Arnold Bennett and Feuillete aux legumes. Featuring a cosmopolitan bar and artwork celebrating the golden age of travel, the restaurant will offer a full range of breakfasts as well as a menu made famous by the original restaurant that operated in Sloane Square for over 20 years. Skywork, the independent Swiss airline, which in April will celebrate 12 months of London City operations, has launched a fresh new uniform for its pilots and flight attendants. The regional carrier is sporting apparel which brings a modern, contemporary look and a touch of glamour around its route network. The airline flies twice daily from London City and says that Friday, Sunday and Monday are proving to be most popular days. Flight time, with either a Dornier 328 or Bombardier Q400, is 1hr 50mins. London Northolt (NHT), the favourite of AERBT as a further London airport if (as is the case at present) Heathrow’s third runway does not go ahead, has been featured by The Guardian, not normally aviation friendly, but in this case with a well balanced article. The piece in the newspaper, which was quickly taken up by the BBC and others, suggested that the Ministry of Defence is considering selling off all or part of the property. Assuming that a licensed runway would still be maintained this would still give the RAF a London airport home, but at vastly less cost than at present. Just north of Hong Kong, but on the mainland, is Shenzhen. Originally a fishing village, it has grown into one of China’s most cosmopolitan and wealthiest cities. 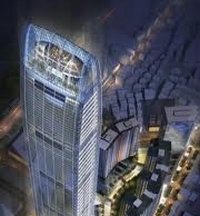 Just opened, the St Regis Shenzhen resides in the top 28 floors of the Kingkey 100 building. This stunning 100-storey tower of steel and glass, designed by the renowned architect Sir Terry Farrell, is the tallest building in Shenzhen and the eighth tallest in the world. There is a 28-metre swimming pool located on the 75th floor. The St Regis Shenzhen features 257 rooms and 40 suites, each one with an iPad2 remote control, allowing guests to easily connect to any of the amenities within the room. The hotel is the only property in Shenzhen to offer a butler service to all guests – one of the St Regis hallmarks. Speaking in London, has called on the International Maritime Organization to undertake what she termed: “a comprehensive evaluation from the findings of the Costa Concordia investigation.” In fact she was acting not only on behalf of her own organisation but also the European Cruise Council and Britain’s Passenger Shipping Association who endorsed her views. Our ship reviews generally follow a predictable pattern but in inviting past President of the Chartered Institute of Journalists, Ken Brookes, to contribute a piece what we did not foresee was a sudden change in itinerary. Here is his report. Of all the major continental cruise ports Barcelona is probably the easiest to get to from the UK with new services coming on-line all the time (See AERBT 16 January). An autumn crossing of the Atlantic combining European ports, plus restful sea days proved a fine idea notwithstanding a change of itinerary. Just a few days into the voyage, a proposed call at Funchal (Madeira) was cancelled because of a general strike in Portugal and substituted by a visit to Gibraltar on the previous day. The wide open spaces of the imposing Constellation bridge are large enough to house an orchestra and hold a dance. In conversation there, Captain Athanasios Peppas explained that, although his schedule rearrangement was half-expected, the diversion to Gibraltar was confirmed with less than 24 hours’ notice. In his department there were obvious navigational changes, but elsewhere there were shore tours to arrange in Gib and cancel in Funchal, and a host of consequential operational alterations, including a revision of the daily programmes and printing. If you had not known anything different you would never have noticed. Unusually, in addition to his conventional appearances at parties, crew introductions and photo sessions, not to mention fluent mid-day broadcasts laced with anecdotes, Captain Peppas submitted himself to – and clearly enjoyed – a lengthy, no-holds-barred, public question-and-answer session in the crowded Celebrity theatre, where all the queries came from the audience. With the special factors out of the way, let’s look at a few statistics. 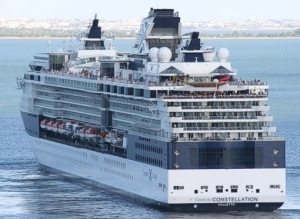 Built in St Nazaire (France), and registered in Malta, the Celebrity Constellation is a medium-size (by today’s standards) cruise ship designed for up to 2,449 passengers in 1,019 staterooms and suites. More than half have balconies. Its crew complement is 941 from more than 50 nations, giving a roughly two-to-one passenger-to-crew ratio on an average voyage. With length and beam nominally just a few inches or centimetres below the 965ft (294.1m) and 107ft (32.6m) limits to length and lock-level beam, the ship will just pass through the locks on the Panama Canal and is therefore “Panamax.” Way above lock height, not only the bridge but also the buffet restaurant protrude on either side. In fact, if you are sitting at a window table, you are likely to find a horizontal glass “porthole” at your feet, through which in open seas you can see the waves about 30 metres below. Though only 10 years old, in cruise-ship terms the 4-star Constellation would by now be regarded as a senior citizen. But it received a US$40m refit in May 2010, at which time its décor was restyled and its public rooms remodelled to match or better that of the later and larger Solstice-class ships in the fleet. Also now installed was a substantial diesel engine, giving the benefit of lower-cost fuel for at least some power requirements. In normal cruising, the Constellation now runs on one gas turbine plus the diesel and waste-heat steam generator. But the versatility comes with a price; the need for two kinds of fuel and twice the possibility of refuelling delays. Close to the gangways, and occupying a small area, is what could easily be mistaken for an elaborate piece of artwork, in the shape of a dummy jet engine. It is, in fact, no dummy but a valuable spare LM2500 power plant that could provide much of the energy needs of the great ship that surrounds it. As far as I know, it has never been needed for that purpose. The staterooms were originally decorated in yellow and turquoise, but the colours are now a restful combination of (mainly) beiges and browns. Apart from suites, the comfortable cabins are virtually all the same size, though a little smaller than on the latest cruising behemoths. Nonetheless, they have relatively spacious bathrooms, including a shower almost large enough for two to enjoy. Around the ship, not only on stair landings and in public rooms, but also in restaurant alcoves, hiding behind elevators and everywhere in-between, is an eclectic and occasionally exciting collection of original artwork; paintings, drawings and a variety of sculptures. Many are accompanied by artists’ credits on small brass plaques, but a surprising number seem to lack these modest tributes. Even more surprisingly, after a supposedly diligent search, no staff member managed to turn up an inventory or listing of the ship’s art. Apparently I was the first ever to make such a request. The two-level, two-sitting, San Marco main restaurant seats well over 1,000 diners, those with fixed times on the lower deck and others with more freedom (but no assigned table) upstairs. 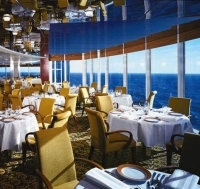 The four-course menus are typical for this class of ship, with complete changes for every day of the cruise, apart from ever-present optional staples, like grilled chicken breast and steak. There’s also a good choice of vegetarian dishes. In addition to the two main restaurants, there are a pair of surcharged dining venues, Ocean Liners, French cuisine based on the old Normandie transatlantic liner, and the Tuscan Grille steakhouse with wine. Good as were the steaks in the main restaurant, we found those served in the Tuscan a cut above, and the cosy ambience ideal for a special occasion. It apparently replaced a flower shop, but would have been a very out of the way location for the latter. The other stores, a concession like the spa and photo complex, are located together on one of the two decks where public rooms are concentrated. 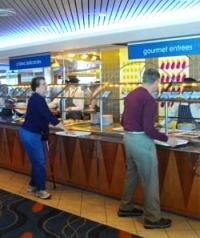 There are numerous other casual eateries dotted around the ship, including a poolside barbecue, coffeeshop and gelateria, each offering items not found on the inclusive menus. Everyone knows about the vast quantities of food and drink that fill cruise ships’ stores, but few give much thought to how the stores get there. For example, we never seem to see trucks and delivery vans waiting patiently in line on the quayside. 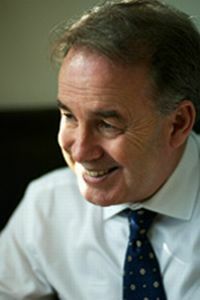 In yet another interview, British-born Hotel Director Jamie Petts solved the problem for AERBT readers. So important is it to Celebrity that all ships in the line meet identical high standards that virtually all food, excepting the quickly perishable, is purchased, packed and assembled at its Miami headquarters, then shipped in specialised containers to base ports around the world. For similar reasons, a photograph of every menu dish, accompanied by its recipe, is placed on an outsize noticeboard in the galley. This ensures that the same dish, when served on any ship, will as closely as possible look and taste the same. Observant diners will notice that the food preparation areas of the San Marco restaurant are located on neither level but on the deck below, with fast-moving escalators providing links for hardworking waiters and their assistants. Celebrity takes its environmental responsibilities very seriously. Roughly 50% of all water used on board (mainly for flushing toilets, never for washing, drinking or food preparation) is purified and recycled. Only clean treated water is eventually discharged into the sea. And any similar discharge of food waste, with the permission of the Environmental Officer, must be at least 25 miles (40km) from the nearest land. Apart from food, the one thing that really matters on a transatlantic voyage, without even a glimpse of land for a week, is the standard of recreation and entertainment. In this the customers were not disappointed, thanks in large part to the talented Cruise Director Sue Denning. She started her career as a teenage singer at the Abbey Road studios made famous by the Beatles. Her “official” biography says she was born and raised in Birmingham, but her Lancashire accent, reminiscent of Gracie Fields, gave away the fact that she, too, was raised in Rochdale. Her cruise organising experience includes stints with Fred Olsen, Thomson and Azamara as well as Celebrity. 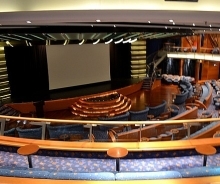 Like eating and drinking locations, musical venues are dotted around the ship, hosting many individual and collective talents. At their best, the resident company in the Celebrity Theatre is well up to West End or Broadway standards. Special mention must, however, go to Danish-British club entertainer Perry Grant whose enthusiastic, mainly middle-aged fans would rush every evening from dinner to the limited seating accommodation, from which they’d refuse to budge until after-midnight closing time. Stage and musical presentations are complemented by sports (in and out of the pool) and games, bingo and quizzes, instruction and informative lectures, the last-named from particularly well-chosen speakers. CRYSTAL, in terms of its number of ships, is one of the smallest operators (just two super luxury liners), but always innovative a first-of-its kind check-in process that will ease embarkation procedures for all guests.